Kim Henson offers advice on keeping your engine cool and operating as it should. The recent spell of hot weather has caught out many motorists, in classic and modern vehicles. Temperature gauge needles have been rising, in some cases to catastrophically high levels. Over time, radiators, water pumps, hoses and their securing clips, and thermostats can all deteriorate on a gradual basis, all with the result that the cooling system is less efficient overall. It’s a good idea to check the system on a weekly basis for a car in regular use. Watch for stains indicating coolant seepage, and on older cars with the cooling fan bolted to the water pump hub, check the water pump/fan hub bearings by attempting to rock the fan/hub on its spindle. Any more than just perceptible movement is too much, indicating that the pump is failing. This is confirmed by roughness/harshness when the fan is rotated by hand (engine stopped, of course…). Particularly important is the coolant level (your car’s handbook will advise the correct level); ensure too that the coolant contains good quality anti-freeze mixture, all the year round. Apart from preventing freezing in winter, anti-freeze mixture protects against internal corrosion within the system (again, especially important in the case of aluminium cylinder blocks and heads), and acts as a ‘summer coolant’, effectively raising the temperature at which boiling takes place. Ideally use de-ionised or distilled water rather than tap water in the cooling system, especially if you live in a ‘hard’ water area. Build-ups of lime scale within the engine’s internal waterways and radiator tubes can have a serious effect on the system’s ability to keep the engine cool in summer. Check also that the thermostat is working effectively, and that it is of the correct temperature value for your engine. Thermostats can be tested, but if in any doubt, renew it regardless (a thermostat that seizes in the ‘closed’ position will cause major overheating very rapidly!). Note too that a thermostat seized in the ‘open’ position will result in slow/poor output of warm air through the heater system in winter, as well as over-cool running which will sap fuel consumption in cold weather. 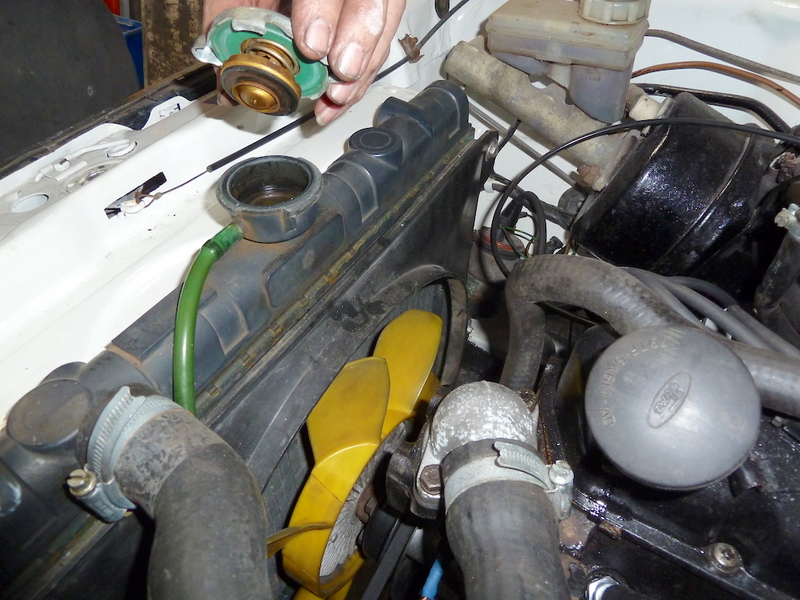 Don’t ignore the pressure cap for the radiator/expansion tank; it MUST be of the correct pressure rating and in good condition, or coolant may escape and the engine can run hotter than it should – bad news! Looking at the above aspects should help your car to run reliably in all weathers.